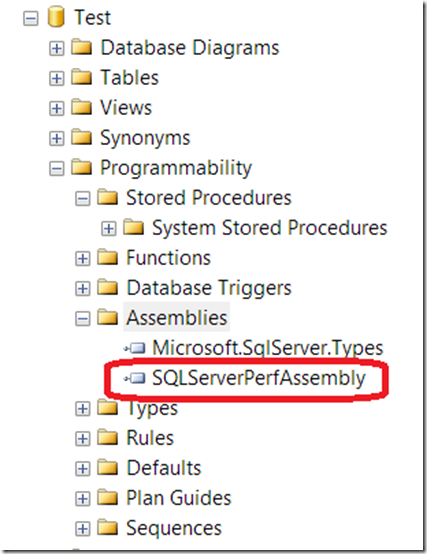 Recently I had a need to do some performance testing against a CLR assembly in SQL Server. 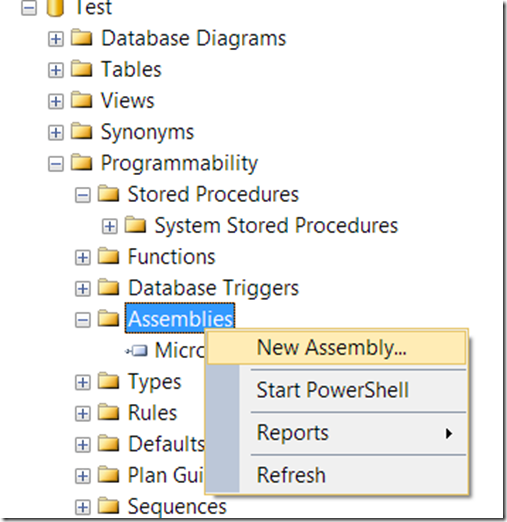 It seemed to me that the first step to do that performance testing was to create a CLR assembly in SQL Server. It was a new experience for me, so I thought I’d share the details with you. This is how I did it. How sweet is that? Pretty freaking sweet, I think! 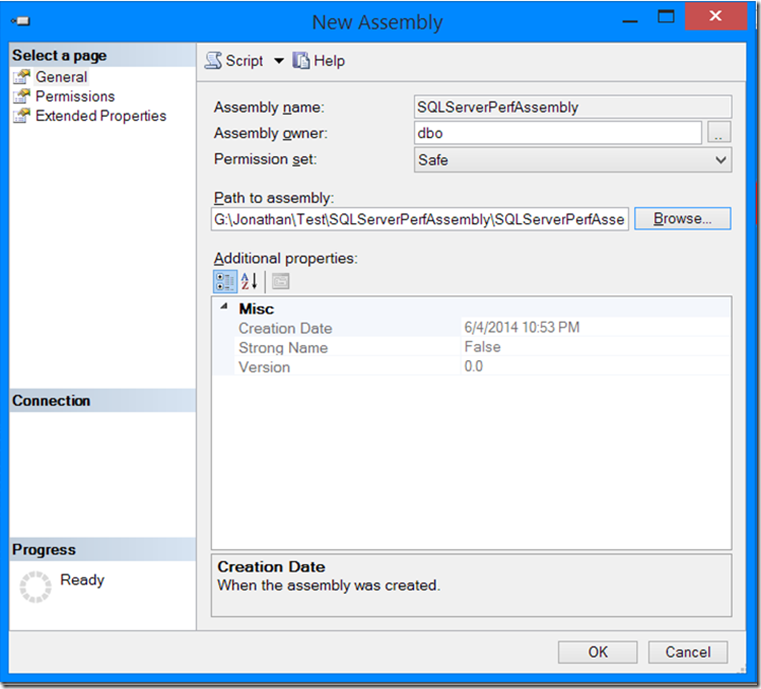 Now that we’ve successfully loaded the CLR assembly into our database, we need to create a procedure that will call into the assembly. 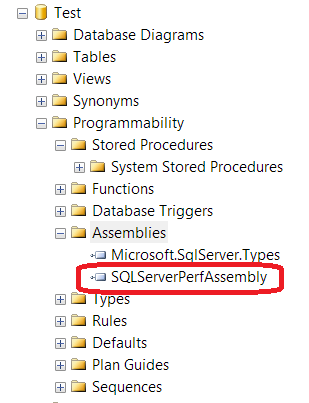 That’s fairly straightforward and can be done with the little snippet of T-SQL that’s listed below. Notice that when referencing the function, it’s specified as [AssemblyName].[NameSpaces.Type].[FunctionName]. Unfortunately, the documentation on this isn’t as straightforward as it could be. 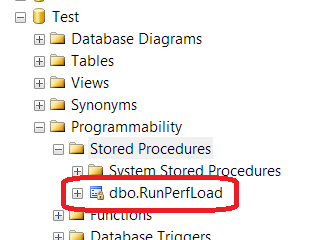 We also don’t have any input or output parameters since this is just designed to create load on the system, but if you need input/output parameters, see the last section of this post. 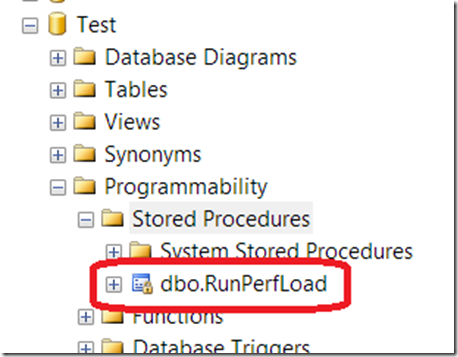 If this step went according to plan, you should have an awesome new procedure listed under the ‘Stored Procedures’ folder of your database. 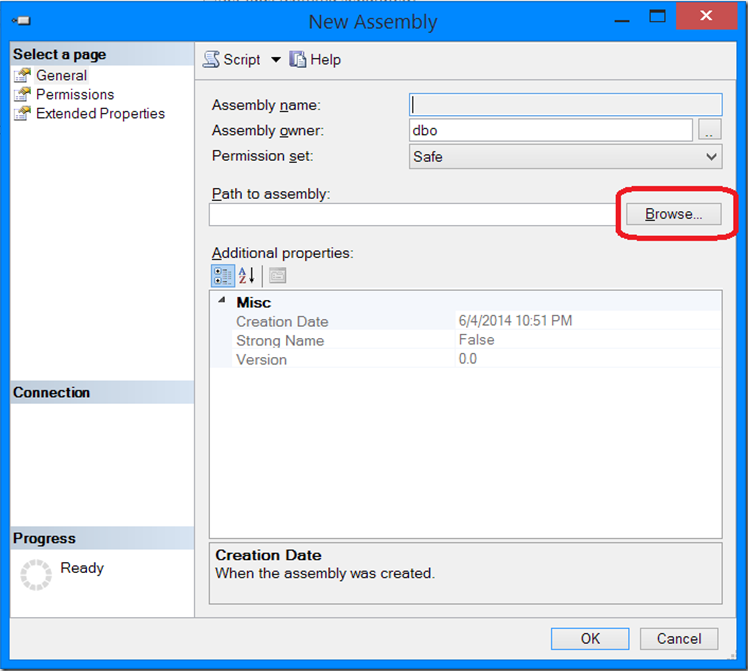 Note that the icon has a little lock on it and if you right click on the stored procedure, the ‘Modify…’ option is greyed out. 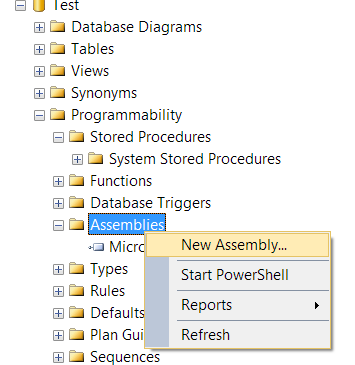 This makes sense since the code is stored in an external assembly and can’t be edited directly in Management Studio. And that’s it! 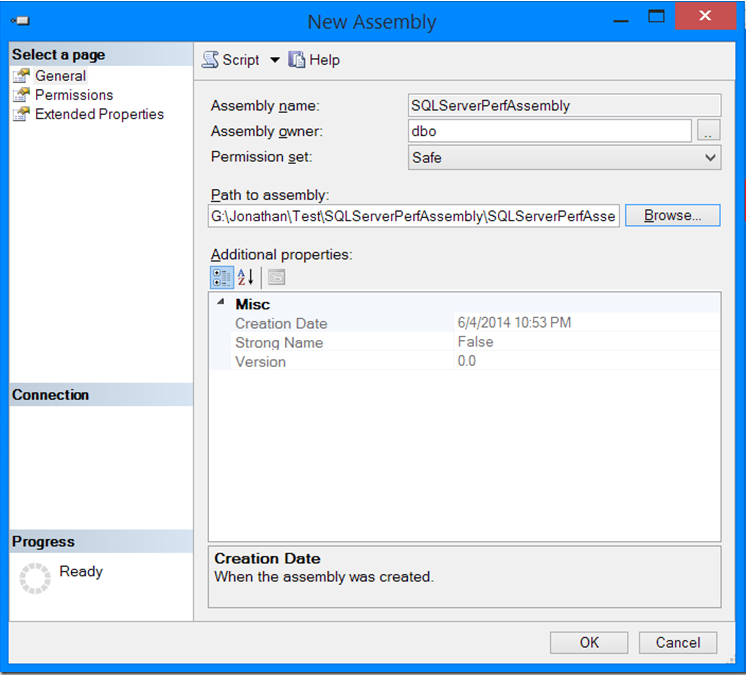 You’ve successfully created a CLR assembly that runs from SQL Server. Awesome, yes?